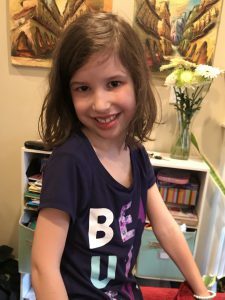 Meet Owlkids’ New Assistant Editor! 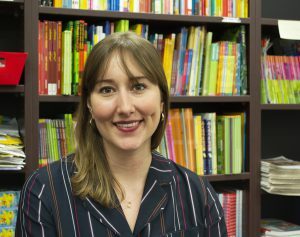 I am super excited to join the Owlkids’ team! I love all of the stories, puzzles and fun animal facts inside Chirp, and Chickadee, and OWL magazines—and can’t wait to be a part of the creation process. Read, especially bedtime stories. You’re never too old to enjoy a fairy tale or Winnie the Pooh. In many little towns across Alberta and Saskatchewan. I would pause time—so I could sleep in every day! I took my first crack at writing in grade 4. My first story involved the tooth fairy and a flying vacuum cleaner, if I remember correctly. Collaborating with the talented and friendly Owlkids team and helping create top-notch content for our amazing readers. In the November issue, we told you how Guinness World Records are set! Sometimes an official judge stops by to watch over a record attempt. He or she is called an adjudicator (say: uh-joo-duh-kay-ter.) We talked to Guinness World Record’s Michael Furnari about his very cool job. Chickadee: Can you tell us about your job? Michael: I travel around the world, and I verify world records. All Guinness World Records titles have guidelines that need to be followed when somebody attempts a record. And I am there to make sure all of those rules are followed properly and that a record has been officially broken. Chickadee: How many trips do you take each year? Michael: I travel about 20 times per year, about twice a month. But we have a lot of adjudicators that are judging records almost every weekend. Records are being attempted all the time and our adjudicators are constantly travelling and trying to verify as many records as possible. Chickadee: What’s your favourite part of your job? Michael: My favourite part is seeing how excited people are when they get the record. These are people who have been working sometimes for their entire life to achieve this goal. When they break a record, you see the excitement and how happy they are. It’s really cool to be able to experience that. Chickadee: Do you have a favourite record that you’ve judged? Michael: One of the most amazing records I’ve seen is the Farthest Distance Human Cannonball, which is the farthest distance to shoot someone out of a cannon. It was done in Tampa, Florida, and he flew for 195 ft. before landing on an inflatable pad. It’s something I never thought I would see in my life! 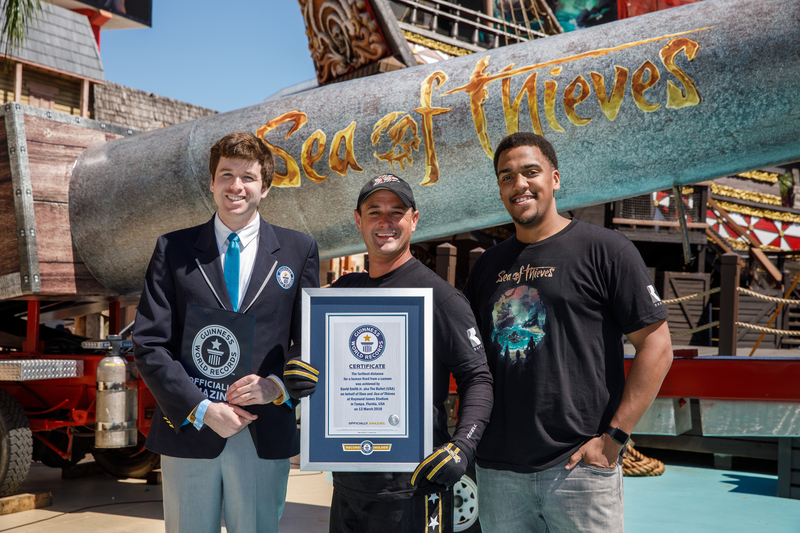 (Xbox and Human Cannonball Dave “The Bullet” Smith break a GUINNESS WORLD RECORDS title for Greatest Distance Travelled as a Human Cannonball for the Xbox upcoming launch of “Sea of Thieves” at Raymond James Stadium on Tuesday, March 13, 2018 in Tampa, Florida. The Xbox host of the event was Rukari Austin. (Casey Brooke Lawson/AP Images for Xbox). It’s time to meet another member of the Super Squad! Let’s say hello to Noa! Read on to get to know a little bit about her. chickaDEE: What song is in your head right now? Noa: Shake it Off by Taylor Swift. C: What do you want to be when you grow up? C: If you could meet anyone in the world, who would it be? C: What’s your favourite book of all time? N: The Secret Garden by Frances Hodgson Burnett. N: Rosa Parks. I just read about her in a book. Who wouldn’t want to meet a dragon? I’m with you, Noa! Thanks for sharing with us! Stay tuned to see who we feature on the blog next month. Have your heard about the chickaDEE Super Squad? The ‘Squad is a group of over 100 readers who help to make the magazine better by giving their opinions and sharing ideas for the magazine! To thank Super Squad members, we’re sharing a Super Squad member profile each month so you can get to know the team a bit better! 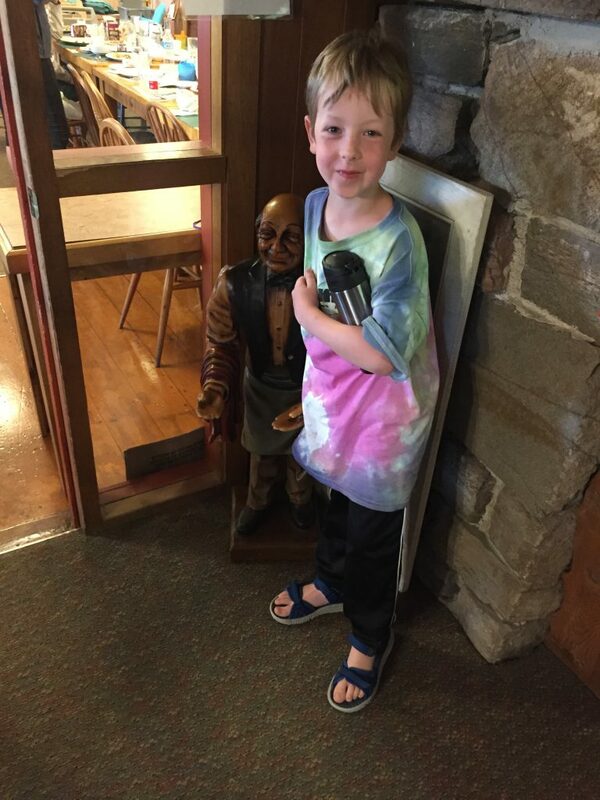 This month’s featured Super Squad member is David, 6. 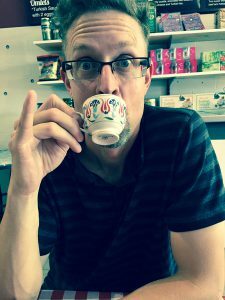 Read on to learn more about him! chickaDEE: What’s your favourite colour? David: Blue, red and turquoise. C: What are you reading right now? D: Spring According to Humphrey by Betty Birney (part of the Humphrey series). C: If you could pick anywhere in the world where would you visit? D: London, Ontario (’cause that’s where my grandparents live). C: What’s your spirit animal? D: My spirit animal is a beaver because it represents Canada. D: Terry Fox because he could still run even if he gets hurt. That was fun! Thanks for answering our questions, David!